There are songwriters and then there are storytellers, and Steve Earle is very much the latter. His songs, such as "The Devil's Right Hand," "Copperhead Road" and "Guitar Town," have been sung by Johnny Cash, Emmylou Harris, Waylon Jennings, Vince Gill, Patty Loveless and many, many more. Steve Earle's inspiration came from two main storytellers: Townes Van Zandt and Guy Clark. 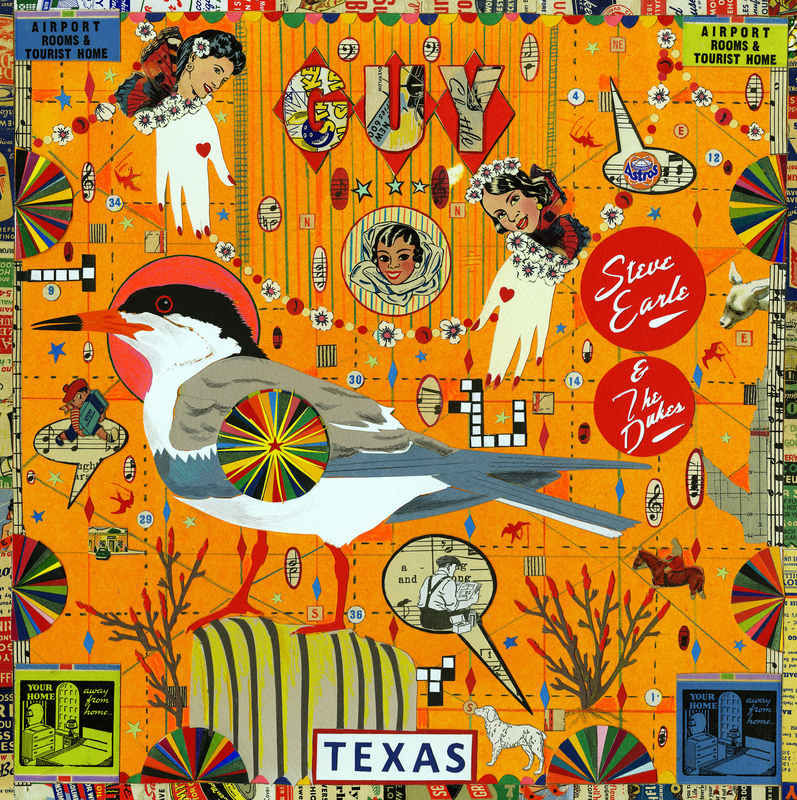 In 2009, Steve Earle made an album of Townes Van Zandt songs called TOWNES and now he's paying tribute to his other hero, Guy Clark by releasing GUY. The album by Steve Earle & The Dukes covers 16 songs by the great Nashville-via-Houston artist and leans toward some of the earlier tunes. On this edition of All Songs Considered we premiere the song, "Dublin Blues" and have a conversation with Steve Earle about the day he left San Antonio, headed to Nashville, met his hero, Guy Clark (who was playing pool) and quickly became his bass player. We begin our conversation after listening to some of the first new song from the album, "Dublin Blues," together. I was at NPR in Washington, D.C. and Steve was on his tour bus in Austin. The band playing with Steve Earle on this album is The Dukes: Kelley Looney on bass, Ricky Ray Jackson on pedal steel guitar, Eleanor Whitmore on fiddle and mandolin, Chris Masterson on guitar and Brad Pemberton on drums. And the record wouldn't be complete without a load of friends, including Rodney Crowell, Jerry Jeff Walker, Emmylou Harris, Shawn Camp, Terry Allen and more. GUY is out March 29 on New West Records.